As the first Zoo to sponsor/partner with the Florida Wildlife Corridor Project we have committed to not only providing funding but staff involvement for this worthwhile project. We are working to incorporate the Florida Wildlife Corridor theme and perhaps branding into our Florida Wetlands exhibit, which we plan to substantially renovate soon. 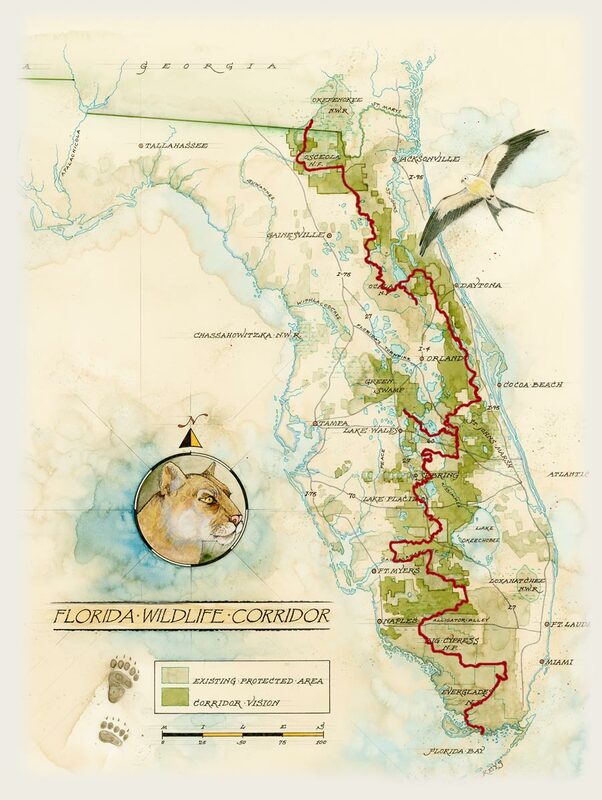 By establishing a Florida Wildlife Corridor trek through Palm Beach County our staff will be raising local awareness of this monumental event taking place in 2014. We will also be making the Zoo a point of contact between Palm Beach County Students and the formal expedition team as they make their 2014 trek. For more information on the Florida Wildlife Corridor, please visit them online.